For any building or structure – whether two or twenty storeys high – there are intrinsic risks involved for those tasked with maintaining them. And with falls from height consistently amongst the most common causes of work-related fatalities and serious injuries in the UK, there has been a marked upturn in media focus on health and safety practices. The construction and FM sectors in particular are being continually placed under the spotlight where such matters are concerned. The truth is that working at height is hazardous by nature – and an unavoidable element of almost any construction or maintenance assignment – which is why there are stringent regulations in place to protect those who are employed to carry out such jobs. So, for those involved in coordinating assignments at height, what methods should they be considering? The sturdiness of scaffolding and powered access platforms might appear to be the safest method of reaching elevated sites, whilst hanging from a rope may seem precarious. But as terrifying as it may seem to a bystander, rope access is rapidly becoming renowned as one of the safest ways to clean, maintain and carry out repairs at height as technicians are securely held within their harnesses – therefore reducing the fall risk. 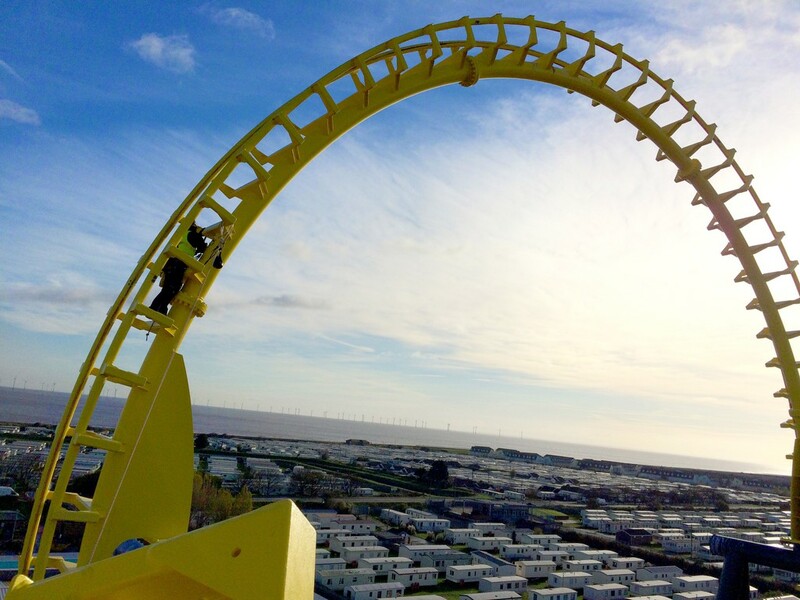 For tall buildings and complex structures – including roller coasters, power plants, wind turbines and even cruise ships, to give just a few examples – the technique enables difficult areas to be reached safely and efficiently. And when it comes to protecting the individuals carrying out such assignments, the extensive IRATA training undertaken by the technicians suitably prepares them for the adrenaline-inducing working environment, whilst also ensuring they understand the importance of adhering to the Work at Height Regulations 2005. Of course, due to the risks involved with any work taking place far above ground, thorough assessments of the site and structure must be conducted, method statements provided and necessary insurances put in place. But, on the whole, the technique is widely regarded as one of the safest means of working on both complex constructions and those at a significant height. Rope access teams can consist of as few as two individuals, with one remaining on the ground while the other is raised above to the area requiring attention. Once the individual or team is rigged into position via two connection points, they can skilfully and easily navigate their way around incredibly tall and complex structures by using abseiling and climbing techniques. This method enables them to safely conduct inspections, installations and maintenance. 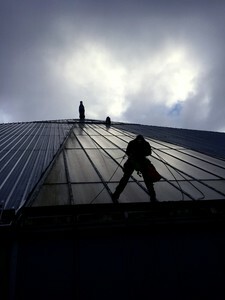 The manoeuvrability afforded by rope access means that necessary maintenance, cleaning and repairs can be conducted swiftly and securely, even in parts that are particularly tricky to reach. For example, the exterior of a towering building may have certain areas that are unreachable via scaffolding, or an internal maintenance job might require access where there is no space for a platform to be used. For any situation with such constraints, rope access is not just a safe approach, but a space-saving one too. By removing the need for scaffolding or powered access equipment, the technique can additionally help to lower costs, minimise disruption and reduce the impact on the environment. Building and facilities managers will know all too well the challenges of keeping a site running as normal whilst maintenance or repairs are being conducted. And while other means of access may require lengthy set-ups and tend to be noisy, rope access is a discreet alternative that can even be used safely at night – making it a 24/7 solution. From routine maintenance to essential repairs, a vast array of elevated assignments can be conducted efficiently by rope access. No matter how tall, intricate or challenging a structure is, the technique is undeniably raising the stakes when it comes to high safety standards, minimal disruption and cost effectiveness.